© Photo courtesy of Riverpark Farm. See caption at bottom of article. Riverpark Restaurant, a tony new restaurant off the FDR Drive in Midtown Manhattan, added a new twist to urban farming when it unveiled a novel outdoor growing operation that surprised even the most jaded New Yorkers. Peppers, eggplants, tomatoes and a multitude of other crops grew in thousands of double-stacked milk crates, the urban equivalent of farm fields. © Photo courtesy of Farm City blog. See photo at bottom of article. Staten Island’s Snug Harbor Heritage Farm had planned it for years. Last month, it finally happened. 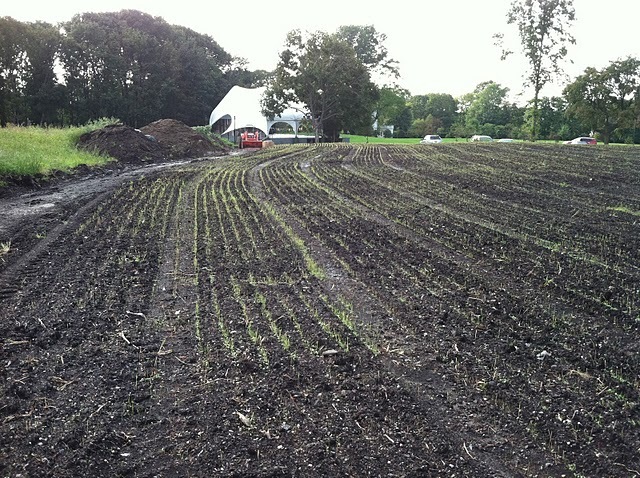 A one-acre field was tilled and covered with winter rye, hairy vetch and field peas and oats, marking the farm’s first official planting. It was probably the longest-planned — or rather longest-delayed — planting ever, but Gus Jones, the farm’s newly hired full-time farm manager, wasn’t at all surprised. BrightFarms, a Manhattan-based company that designs, builds and operates hydroponic rooftop greenhouses for others, is planning to build one for itself. The company will build a 25,000-square-foot greenhouse on top of a building near LaGuardia Community College in Long Island City, according to an article in the New York Daily News. The facility — slated for completion by March of next year — is expected to produce 200,000 pounds of fresh produce annually for the local markets. If built as planned, the hydroponic greenhouse will be the largest in the country. In an interview with New York Bounty in July, BrightFarms discussed its plans for marketing rooftop greenhouses to supermarkets. The company was in talks with a dozen national supermarket chains, eight of which had signed up for the facilities. BrightFarms will move its headquarters to the Long Island City rooftop location. It will build a 7,000-square-foot office space on the 32,000-square-foot roof it plans to lease. © Photo by Margarida Correia. See caption at bottom of article. Rather than soil-filled terracotta pots, the plants grew in trays and tubs attached to tubes that piped in liquid nutrients. 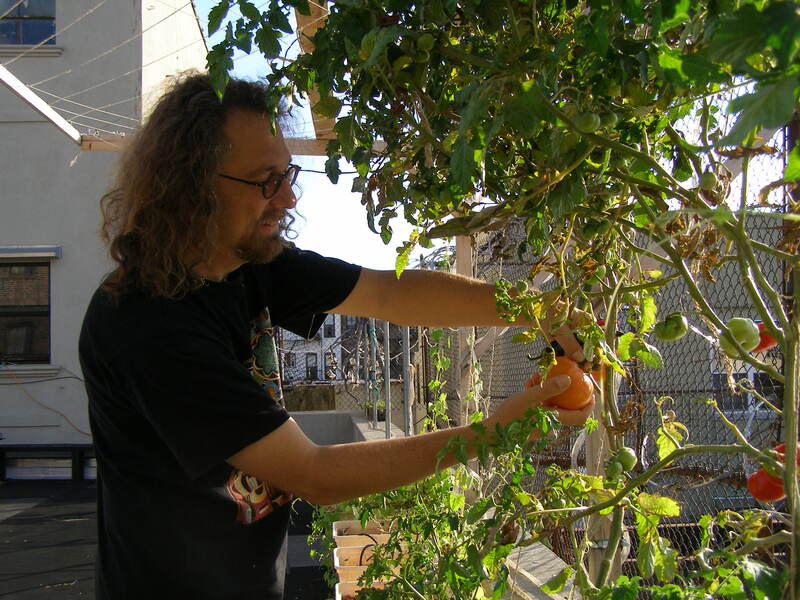 Most grew vertically, like the tomatoes and cucumbers climbing the roof fence and onto a trellis. Others — the bok choy and collard greens, for instance — grew sideways from the side of a wall built from milk crates. The plants – green and laden with vegetables – seemed at home in the Willie Wonkaesque environment. Miniature melon-shaped “Mexican sour” cucumbers dangled from plant stems like earrings. Peppers lounged under the shade of floppy leaves, while the herbs — basil, thyme, sage, parsley — basked in the sun. © Photos by Margarida Correia. See captions at bottom of article. 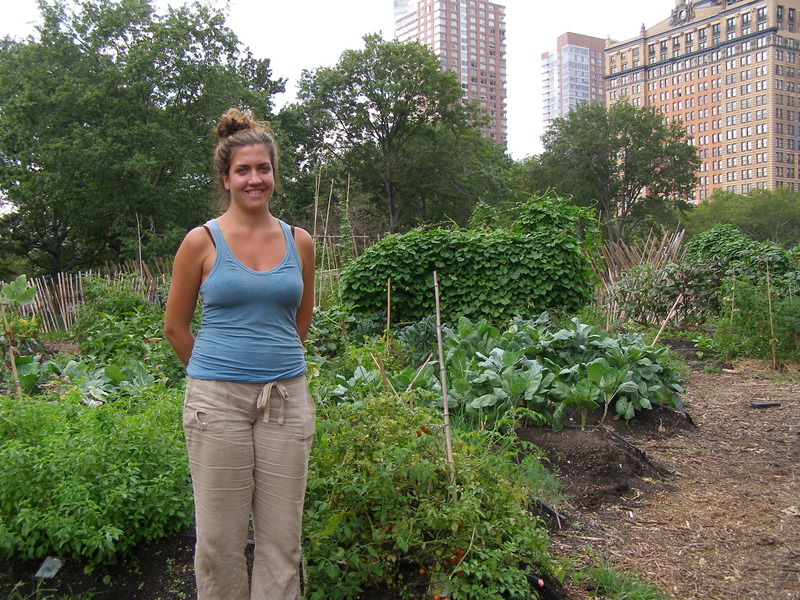 Manhattan is not the world’s best place for a restaurant to build a farm. But Riverpark Restaurant, a new restaurant in Midtown Manhattan, did just that — thanks to an open-minded, eco-conscious landlord and some out-of-the-box thinking.